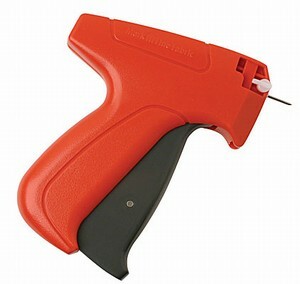 This Dennison brand Fine Fabric Tag Gun is used to securely attach price tags to clothing, fine textiles, upholstery,and draping canvas etc with a fine fabric tag pin. Used together with fine fabric tag pins 7mm and 11mm. Spare needle (FN1X) are available.